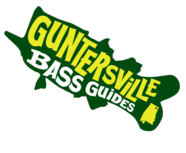 19 years bass fishing experience from tournament angling to guided trips. Capt. Jim Leary grew up in a small town in Ohio fishing ponds with his Father and Grandfather till he got a little older and started venturing to the big waters of Lake Erie where he learned to fish off shore (before GPS and Navionics cards) and the smaller inland lakes that Ohio has. Tournament fishing really got his attention and started fishing local trail, after 2 year of fishing from the front deck a guy by the name of Steve took him around a local lake and really opened his eyes to what bass fishing really is, that fired him up even more. Two years later he found a new home in the state of Alabama 45 miles from Lake Guntersville why you may ask “I wanted to move to Gville since I watch George Cochran catch almost 100 lbs of bass in 4 days on a JerkBait”. He worked for a local pest control company named Cooks Pest Control in sales for 3 years, while fishing every chance he had before he took the plunge to fish for a living. It was just him and his best friend Belle on the road for one year as a co angler in the FLW Tour after that experience which was eye opening in many ways. On Saturdays of the tour events they would have a National Guard Soldiers tournaments and he was selected to do a couple of them and that was when he knew where his heart was, it was to take people fishing and teaching new techniques and enjoying time with others and sharing the guided fishing trips and memories of a day on the water. Even though Capt. Jim started Guntersville Bass Guides bass fishing guide service he still has that tournament bug that he has to treat every now and then “Tournaments really get me fired up sometimes I cant sleep the night before” now don’t think he keeps his clients from fishing these spots on trips ” I do well in tournaments because my clients and I will figure out how to get the big ones to bite together just like any other trip clients come 1st” he guides on the same spots he tournament fishes on, its because he isn’t going to fish somewhere he doesn’t know if the fish are there. Fishing is FUN!! We want you to have a trip of a life time! Now we can’t guarantee fish catches, but we can promise that you’ll be around them. 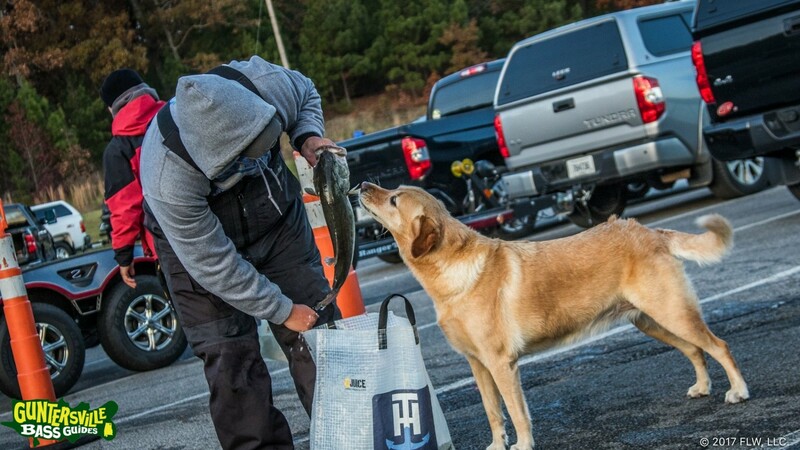 Whether your a 1st time anlger that is looking to get started or a seasoned tournament angler, you can rest assured that we’re going to help you. We’re committed to providing you with top notch gear from Duckett Fishing Rods and Reels and the most current lures from NetBait, 4×4 Bass Jigs, and knowledge. We approach every day and client with a smile.